As I promised you yesterday, here is the NOTD with Essence's Raspberry Swirl from their Marble Mania LE. 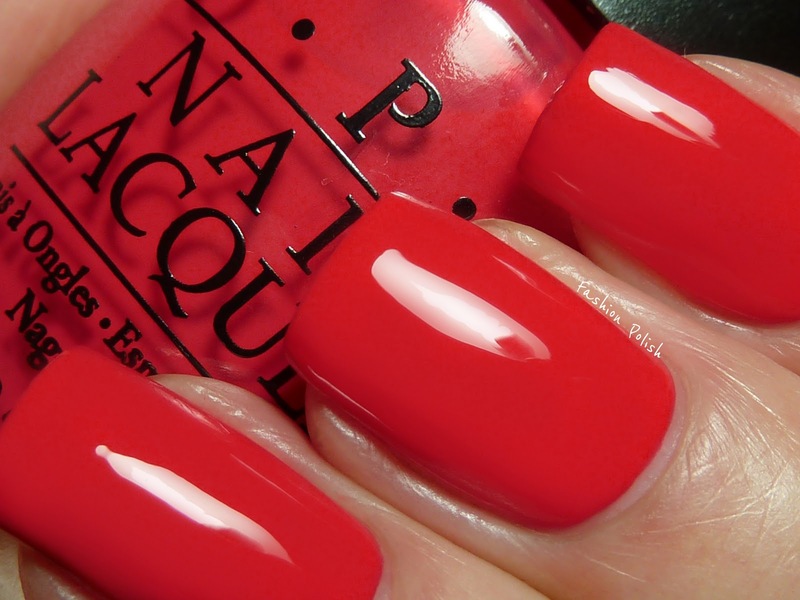 Raspberry Swirl is a coral red creme. It's pretty vibrant, but since it's red mixed with coral it also looks a bit muted. Sometimes it can also look a bit pink. It is very bright and fun and is nice for the beginning for spring :) It actually kind of reminds me of red poppy, don't you think? Application was nice, the formula is super creamy and bit squishy, really nice! This is the way I want cremes to be :) I did 2 coats, that was totally enough. Sehr hübsche Farbe! Sie macht richtig Lust auf Sommer! ja total, finde ich auch! I would wear it in summer time. It has to look very nice with bronzed skin! I love this color! I must pick it up!